It’s time to don those capes and masks, because Friday, April 28, is National Superhero Day! If you’re not into dressing up, that’s OK. Being a superhero goes way beyond a stellar costume. When you think of superheroes, names like Superman, Batman and Wonder Woman come to mind. But what about mother, teacher, soldier? Superheroes come in all forms. Parents, grandparents, coaches, friends and family can all be superheroes in their own way, while firefighters, police officers and doctors fight the good fight every day. Superheroes are all the rage. Kids (and adults) dress up as superheroes every Halloween. Superhero products, movies and televisions shows are everywhere! Kids (and kids at heart!) look up to superheroes for their amazing super powers and ability to save the day. These positive role models promote doing good in our society and make it cool to help others! It doesn’t take an extraordinary feat to be a superhero. We can all be superheroes through simple, kind actions: helping out a neighbor, donating to a charity, supporting someone through a tough time. The smallest act of kindness can brighten someone’s day. As we celebrate our favorite superheroes today, take time to appreciate those in our own lives who truly make a difference. And let’s all strive to be a superhero for someone else! 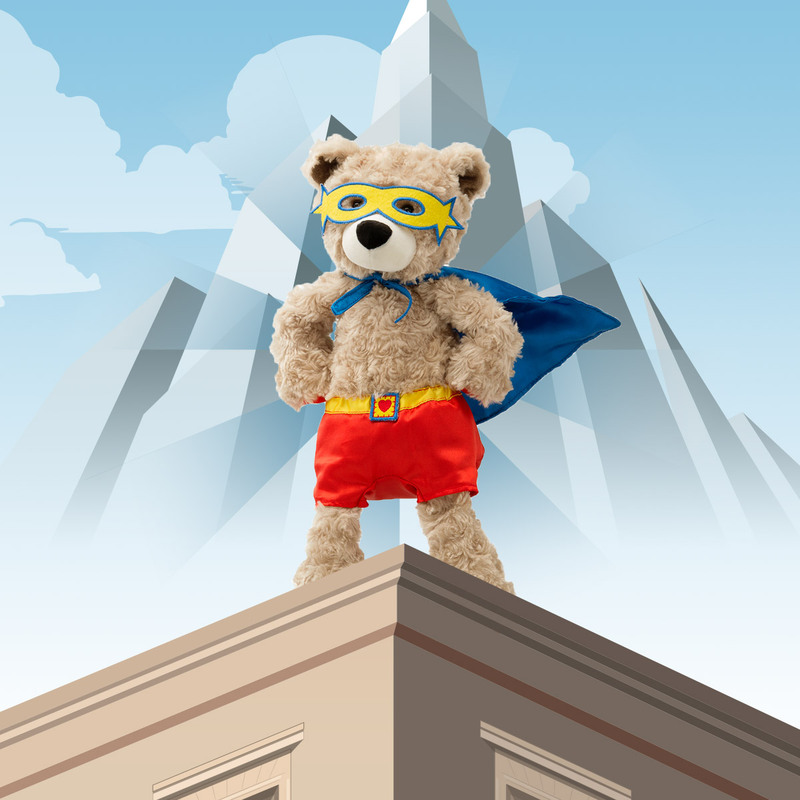 Our favorite superhero at Scentsy is, of course, Sebastian the Superbuddy. Sebastian sends Love to the rescue with a portion of each purchase donated to Shriners Hospitals for Children. Simply giving the gift of Sebastian could make you a hero in the eyes of a child in your life — and to a child being treated at Shriners. Who are the superheroes in your life? Tell us in the comments. Separator image Posted in Inspiration, Scentsy Spirit.